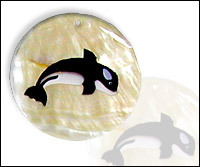 Painted Shell Chips - All natural material are purely comes from handcrafted precious shells. Available in different variations. Your designs are also welcome. Numbers and placement of hole(s) is changeable upon request. 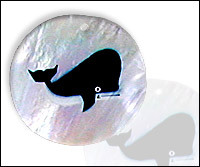 MOP shell, hand-painted in whale design. 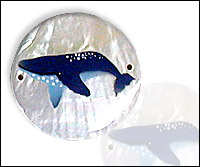 MOP shell, hand-painted in blue dolphin design. 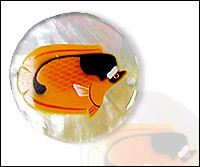 MOP shell, hand-painted in fish design. 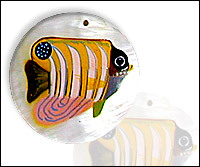 MOP shell, hand-painted in multi-color fish design. 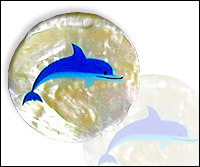 MOP shell, hand-painted in dolphin design.